What I experience in ketosis, you asked. Well, let me tell you in this new video. And if you don’t feel like watching a video, or you just want an overview, you can also read this article. Let’s get started, because I think I have a lot to tell you. If you do not know what ketosis is, let me explain that first. When you eat Keto, you eat up to 20 grams of carbs per day. I eat between 20 and 50 grams per day, because that suits me best. Most people on a ‘normal diet’ eat between 250 to 400 grams of carbs per day. I used to hit between 300 and 400 grams per day. I try to stay under 20 grams of carbs a day, but if I go over I do not sweat it. It is still very, very low carb. And no, I do not get fat because I eat some more carbs. Back to ketosis, which is a state your body can get into when you start eating under 20 to 50 grams of carbs per day. When you’re in ketosis your body starts to use stored fat on your body as energy. This is why many people successfully lose weight while eating Keto. Usually your body gets energy from the carbs you eat during the day. When you are overweight, you’ve probably ate too many carbs, which your body has turned into fat. When you keep eating too may carbs you’ll have a hard time losing weight. Your body simply does not see the point to use your body fat as energy. Simply because it keeps getting energy from the carbs you eat. But when you start eating less than 20 grams of carbs per day, your body has to use the fat on your body to create energy. You will get into ketosis when this happens and you might experience different effects. In my case I adjusted really well and pretty fast to Keto. But I also noticed some effects like the Keto flu. – I get really thirsty and I drink a lot of water. – I start peeing a lot! – I start to crave more protein filled food. – I have less or no cravings for sweet foods at all. – I sometimes get a headache, which might be part of the Keto flu. – One time I also got this weird metal taste in my mouth for a few days, blegh! – Sometimes I feel a bit shaky, but that never really lasts longer than 15 minutes. 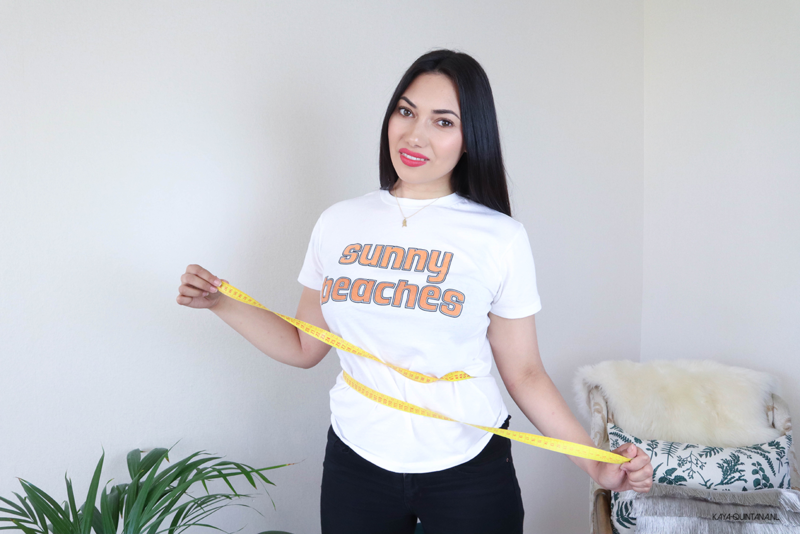 – I start losing about half a kilo per week. – I have more energy and my mind is super clear. – I’m less tired and I feel like I’m better during my workouts. The most annoying effects of ketosis to me are peeing a lot and the headaches. They totally take me out of my flow and that is very annoying to me. I also want to talk about the Keto flu because a lot people have been asking me about it. I started eating Keto in May 2017 and in the first few weeks I did notice some Keto flu symptoms. The Keto flu basically is your body reacting to eating less carbs. It needs to adjust and you will notice some changes. I felt really tired, had very bad headaches and suddenly started craving dark chocolate like crazy! I also started feeling a little queasy and shaky during the day. I also sometimes experienced a flu-ish feeling. Which is not so weird since your body is missing it’s regular energy source: carbs! After a week or two I started to feel better and normal. Now I sometimes still have these symptoms, but mostly after my period when I go back to Keto, after I’ve been eating a bit more carbs. I know you’re probably wondering if I used any products to measure or see if I’m in Ketosis. I decided from the beginning to not do that. The Ketogenic diet is a lifestyle to me, which is very relaxed and organic to me, compared to other diets and ways of eating. I do not want to put pressure or stress on myself when it comes to food. So no, I haven’t peed over Ketosticks and I haven’t tested my blood for ketones. I don’t think it’s necessary because my body is smart enough to show me where I’m at through the symptoms listed above. 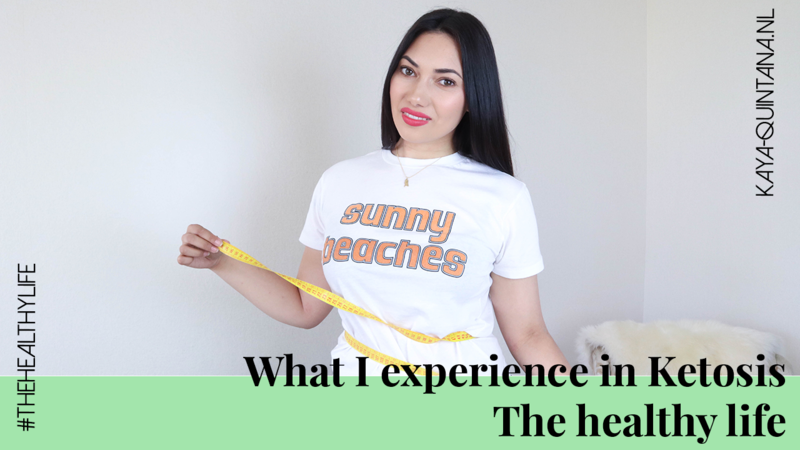 This is what I experience in Ketosis, what have you noticed when you’re in that state? P.S. Follow me on Youtube for more healthy life videos.